Chosen for it high quality waves, distinct environmental characteristics, surf history and community support, the Noosa World Surfing Reserve is an exemplary coastal community dedicated to the preservation of their coastal and surfing resources. The Noosa World Surfing Reserve includes five world class point breaks and three consistent beach breaks, o ering quality surf in variable conditions. Although the area does experience swell ‘droughts’, particularly in late winter/early spring, it is rare for there to be no rideable waves. North Sunshine, open to south swells, offers protection from summer north easterlies, while Noosa West’s consistently good sand banks offer fun waves in southerly wind conditions when the points are too small to break. Alexandria Bay, a short beach at the north-eastern-most point of the Noosa headland, is a swell magnet that breaks when nowhere else does. Noosa’s five rock and sand-based point breaks o er a variety of waves to suit all skill sets, from learners to experts. First Point, the closest to town, is a deceptive set-up in that it can present friendly peelers most of the year, then dredging low tide sand barrels during Coral Sea swells. Likewise Johnsons (or Little Cove) is perfect for learners much of the time but can also be the most hollow of Noosa’s waves. National Park, from pitching Boiling Pot through to Car Parks, is a serious high quality wave, while the outer bays of Tea Tree and Granite pick up more swell and offer long, perfect rides. While Noosa’s points are most consistent during cyclone season (December to May), southern- generated swells can swing just easterly enough to produce quality waves at any time of year. Noosa enjoys approximately 280-300 days of rideable surf per year. o fish and shellfish from the ocean and estuary, and kangaroos, emus and turkeys from the river plains. According to Noosa historian, the late Dr Nancy Cato, at one time there were more than three thousand people, scattered in small camps along the coast and up the river. Apart from spearing fish in the shallows, there is no evidence of the original inhabitants having used the ocean for sport, although it is likely, as in other coastal areas of southern Queensland, that they “surfed” through the small waves of the bays in crude bark canoes. Noosa’s first surf life saving reel was housed at Laguna House, overlooking the beach from a sand track that would become known as Hastings Street, in 1906, but Noosa would have to wait another 22 years before surf life saving became firmly established. Club. Since then the club has continued to patrol the beach with the proud record of no lives lost on Noosa Beach while lifesavers were on patrol. Noosa Heads Surf Club has produced many champion watermen and women over the years, the latest being multiple Molokai paddle champion Jordan Mercer. The club is a staunch supporter of the Noosa National Surfing Reserve, and is represented on our committee. The generation of ex-servicemen who started bringing their families to Noosa in the 1950s included many keen body surfers and surf ski riders, but they mainly focused on the beach breaks of Main Beach, paying scant attention to the perfect waves rolling in along the point breaks every time an east swell combined with a south east wind. It wasn’t until a lifesaver named Hayden Kenny (later to become the first ironman champion in 1966) ordered a Malibu surfboard from Sydney in 1957 and brought it to Noosa to try it out, that the potential of the points was realised. 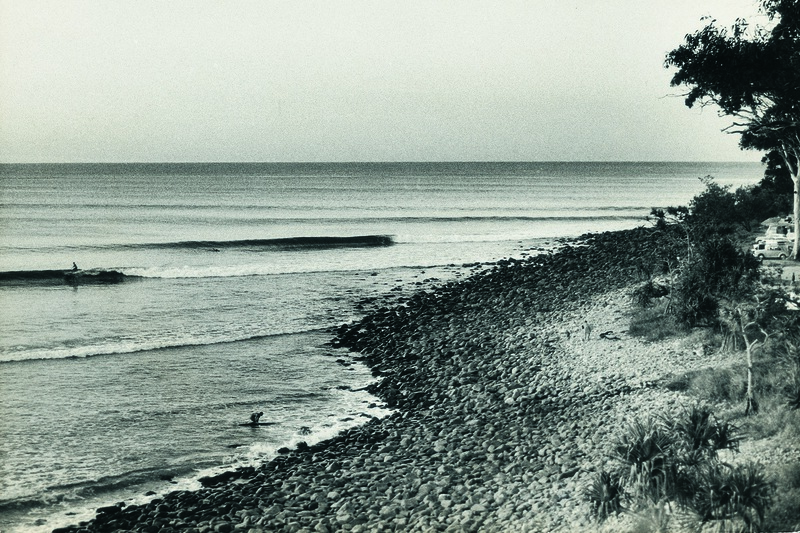 Hayden surfed the First Point and National Park breaks alone until 1960, never bothering to investigate the outer bays, but word spread, and in 1960 the legendary Caloundra Canadians, Ma and Pa Bendall, came up in their van with a young Brisbane surfer named Bob McTavish. By the mid-1960s, Bob McTavish was the uno icial ‘mayor of Noosa’, having created a surfboard testing ground on the points while shaping boards for Hayden Kenny at Maroochydore. Around him, some of the most innovative surfers and shapers in the world had gathered to test the limits of design and performance on the perfect small waves, among them Californians George Greenough and Bob Cooper, and Australians Russell Hughes and Nat Young, who would go on to win the 1966 world championships on ‘Sam’, a board he designed with McTavish in Noosa. Today the tradition of Noosa as a surfing laboratory continues, with Tom Wegener using the points to test and develop his Hawaiian replica alaia boards. Noosa soon had its own local surfing community, and a boardriding club that from 1969 began hosting national and international contests. As boards got shorter, many surfers began to focus on the more challenging waves of the outer bays, and for a decade or so, the smaller waves of First Point and Johnsons were le for ‘mum and the kids’. But the longboard renaissance of the mid-1980s saw the perfect peelers come back into favour, and the Noosa Malibu Club joined Noosa Boardriders Club in providing regular competition and training for all levels of surfers. In the 1990s both clubs nurtured such future champions as WSL star Julian Wilson, former Australian junior champion Nic Wallace and former world longboard champion Josh Constable. In 1992 the Noosa Malibu Club introduced the Noosa Malibu Classic, a longboard event that soon became international, introduced a professional division in 1996 and evolved into a surf culture festival in 1998. Today the Noosa Festival of Surfing is the biggest surfing event in the world by competitor numbers, with more than 900 entries over 30 divisions, and attracting competitors from more than 20 countries. Three of Noosa’s five famous point breaks (and more than half of the proposed World Surfing Reserve) are within the protected boundaries of the Noosa National Park, Queensland’s most-visited National Park. The remaining breaks covered in this submission are bordered by a mix of privately-held land and dedicated parkland. The private land falls under strict building regulations (eg 4-storey height restriction) as part of the Noosa Plan. 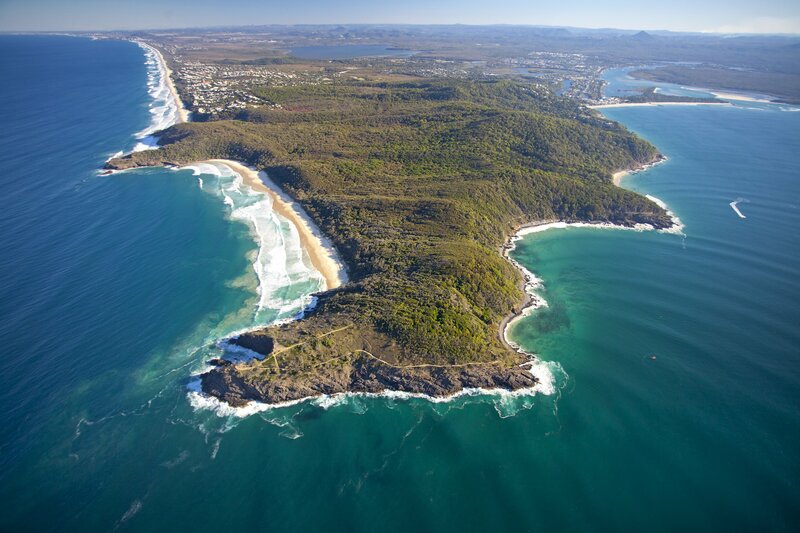 The original, land-locked Noosa National Park was created in 1939 and opened by the Governor of Queensland in 1949. It did not include what is now the coastal walkway, and a large section behind Alexandria Bay was earmarked for residential development. The then development-driven Noosa Shire Council wanted to build a coastal road to connect the new developments with the commercial hub of Hastings Street. first community-based conservation group, to fight for the extension of the park around the entire headland. The NPA won its first battle against all odds in 1964, when the Queensland government blocked the coast road plan by extending the park to the sea. But this was only the beginning. the developers to maintain Noosa’s unique coastal environment. And while, under successive administrations, we have come to regard the headland as safe now, the NPA (which supports the World Surfing Reserve and is represented on our committee) stands ready to fight again. Protected (and endangered) species found within the Noosa National Park include the koala and the brush (or scrub) turkey.